Birthright Israel LA Way is more than a free trip — it’s finding a sense of community in L.A., Israel, and within yourself. Our LA Way participants know that when they come back from their life-changing trips, the fun, friendships, and connections don’t stop at Ben Gurion! 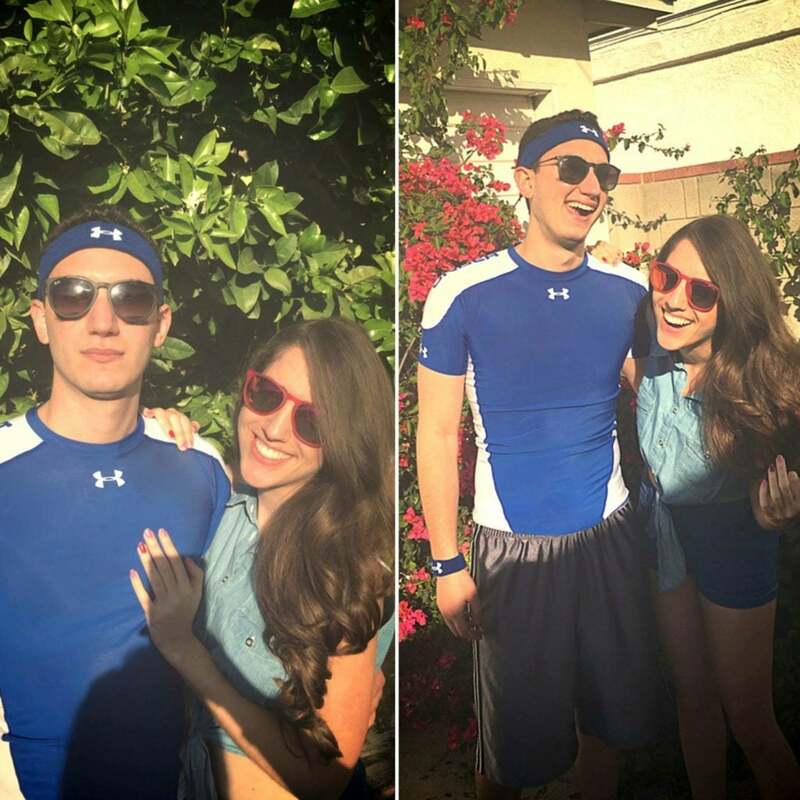 Chelsea and Corey traveled with us on Birthright Israel LA Way a few years ago — and the rest is history! Check out our interview with Chelsea and Corey below! 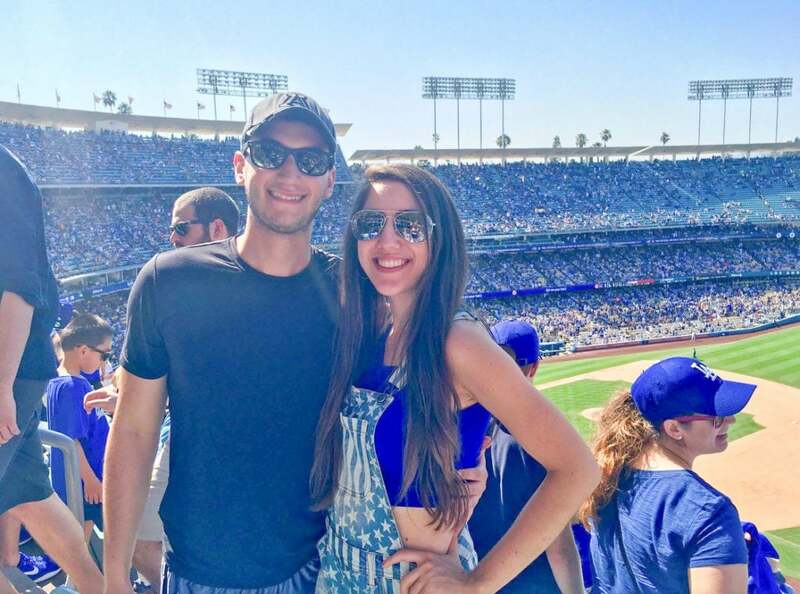 Why did you decide to go on Birthright Israel LA Way instead of a national trip or another organized program? CHELSEA: I decided to go on Birthright Israel LA Way specifically because I loved the fact that everyone was in entertainment. The industry is a huge part of my life — it is my life — and so why not meet others who share the same passions as you? Plus, I was excited that everyone from the trip lived in L.A. That was important to me, as I knew I’d want to stay in touch with everyone locally. COREY: I had applied back in 2013 and got accepted, however, the dates for the winter trip didn’t match up with my work schedule. As a Hollywood assistant, it’s a year of hard work followed by two weeks of vacation from mid-December to New Year’s. I let it go by the wayside the following year, and then in late summer of 2015, one of my buddies told me that there was a winter trip that flew out of L.A. and was geared toward the entertainment industry with dates that matched our holiday break. 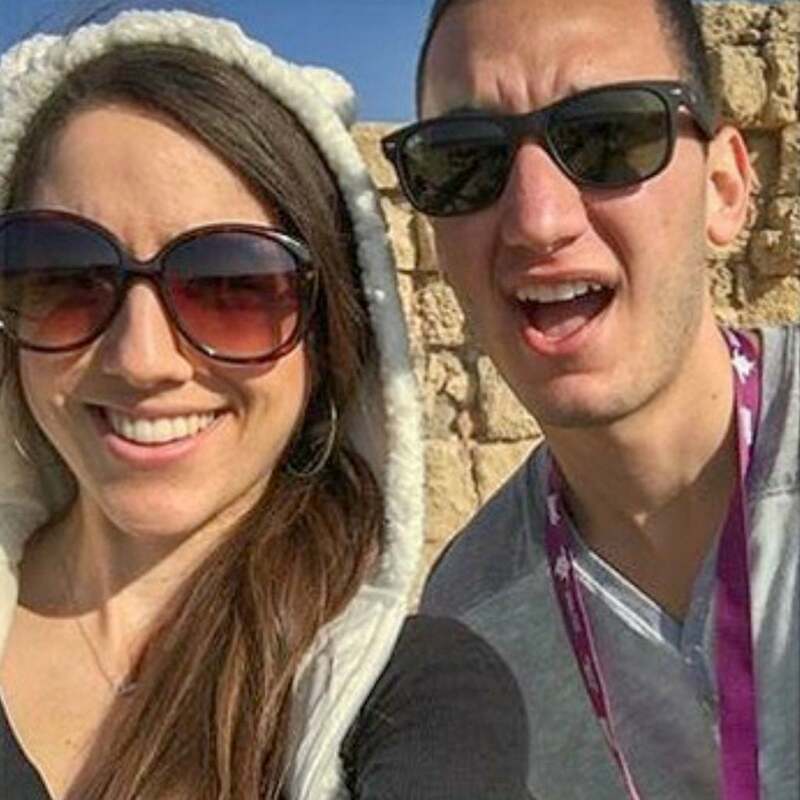 I jumped at the idea of this: travel to Israel with Birthright Israel LA Way, network with industry colleagues, and create that special connection with the people I worked with. Sounded like a win-win to me. And I am glad I did, because I met Chelsea! Fate? I think so! Remind me to thank my buddy Ben Cohen again for telling me about this specific trip. What were you expecting to get out of the experience? CHELSEA: I truly wasn’t sure what to expect. I suppose I expected to feel closer to my homeland. My dad was very dedicated to Judaism growing up, but since he had ALS for most of my life, religion was something that was often tossed to the side. Ironically, I think spirituality is particularly important when someone has an illness or is dying. Since my dad died when I was in college, I have been on a constant quest to connect to something bigger than myself. I hoped the trip would help me with that journey. I had no idea I would also meet such amazing friends, many of whom I’m still close to! And the fact that I met Corey is hilarious to me in the best way — we were definitely not expecting that to happen. COREY: I’m going to be honest, coming back with a girlfriend was the last thing on my mind and priority list when I was going into Birthright. I know Chelsea felt the same way. It might sound cliché, but I just wanted to create a relationship with the homeland and get educated about what goes on over on that side of the world. This was the first time I had ever traveled outside of North America, so it was quite the experience for me! Also, I love food, especially Mediterranean food, and having the best hummus and shawarma I’ve ever had in my life was another thing that I was expecting and excited for as a part of my experience. Point is, I walked away with two relationships — one I expected, and one I didn’t. That to me is the best part of life. What was one inspiring moment from the trip? COREY: When we were at Mount Herzl and the Israeli soldiers in our group were reading stories about fellow soldiers who lost their lives at a young age, that really got to me. Hearing those stories and seeing the graves of such young kids giving their lives for their country was extremely eye opening. I felt closer to that than any story I have ever heard in America on the news. It was really inspiring, the strength of these kids, and I say kids, because they/we are all so young — but going into the army there at such a young age is completely normal. It really made me appreciate more things in life and not take as many things for granted. CHELSEA: I agree with Corey — hearing soldiers our age talk about their friends and family members who they lost — other soldiers who were close to our age — wow. I am extremely moved and inspired by stories of death and loss since it’s such a defining part of who I am, having watched my dad suffer from ALS for over 15 years and eventually succumb to it. In Israel, so many people unfortunately witness a lot of loved ones die — but they die on behalf of their country, which I find unbelievably inspiring. I can’t fully put into words how moving that is to me. I really appreciated them sharing their stories with us. How have you connected with the L.A. Jewish community since you’ve been back? CHELSEA: I’ve connected with the Jewish community in a few ways since being back. I applied for the Arts Council at the Jewish Women’s Theatre, a year-long program where I connected with other Jewish women in the L.A. arts scene. I helped my roommate’s spiritual band rooted in Judaism, Bles’d, apply for a NuRoots grant (which they received) to help throw a large Chanukah celebration in L.A. – that was a lot of fun! I’ve become more inspired to showcase and delve into Judaism and Jewish ventures since the trip. I’ve gone to more services and have had more spiritual conversations with myself and with others. In general, I’m more aware of Judaism and what it means to me to be Jewish. When I got back, I was close to booking this cool role on a fun new TV show and the character was Jewish — that was the most exciting thing to me about it. I don’t know if I would have cared as much before the trip, but I was psyched about that. I didn’t get it, but I hope to portray another comedic Jewish chick in something soon. COREY: I think that the biggest thing I have done is getting the word out there. If I meet or know someone who hasn’t gone on Birthright, I make sure to inspire them to go, whether it’s through sharing the success story of my relationship with Chelsea, the amount of fun I had, or the lifelong friends and colleagues I made. How do you think meeting in Israel (and on Birthright Israel, specifically) has impacted your relationship? CHELSEA: It’s kind of our “thing” now. People are like, “You met on Birthright? That’s amazing/adorable/ironic/hilarious!” I would have to agree with all of those adjectives. We bonded over an incredible experience together, and we’ll never forget that. Plus, we met and bonded with such a fantastic group who I will always love. If I’m being honest, before the trip I would roll my eyes when people made jokes about meeting a “nice Jewish boy” in Israel. It annoyed me when people even suggested it — but hey, two years later, here we are! If anyone who is reading this is rolling their eyes right now, can I just say that I don’t blame you? I wasn’t super Jewish growing up, but I did have a Bat Mitzvah. Corey’s dad was a cantor for 25 years and his uncle is a rabbi. I suggest going in with an open mind and maybe you’ll find a Corey! No matter what happens, you’ll love the trip, and I highly recommend the LA Way trip specifically. We were also impacted in the sense that our first “date” was about 14 hours long. He asked about five people to change seats on the flight home so that we could sit next to each other. We had a long chat about life on that plane ride that forever impacted our relationship. We even had our first kiss on that flight. Also, there is another couple who met on our same trip who we still hang out with and love. Thanks for chatting with us Birthright peeps — you weren’t Birth-wrong! To learn more about Birthright Israel LA Way, visit www.YAJewishLA.org/Birthright or e-mail BirthrightLA@JewishLA.org. We partner with JDC Entwine to provide international travel opportunities for Jewish Angelenos in their 20s and 30s. Our trips enrich Jewish life around the world, as we visit Jewish communities, explore cities, and create a long-lasting connection between all trip participants. The participants also gain a deep understanding of the dynamic partnership between the Federation and JDC, having worked together to address the needs of Jews around the world for over a hundred years. For more information on short- and long-term immersive opportunities and scholarships, please e-mail YALA@JewishLA.org.